Ronda Rousey will make her highly-anticipated return to the octagon at UFC 207 in Las Vegas later this year. The 29-year-old fighter, who has not officially fought since her loss to Holly Holm at UFC 193 last November, will take on Amanda Nunes in a title-fight bout at T-Mobile Arena on December 30. Rousey will battle Nunes for the women's bantamweight champion belt. She vacated the honor after falling to Holm in Melbourne, who then lost to Miesha Tate at UFC 196 in Las Vegas in March. Nunes claimed the bantamweight title with a win over Tate at UFC 200 at T-Mobile Arena on July 9. UFC 207 tickets will go on sale to the general public on Friday, November 4. 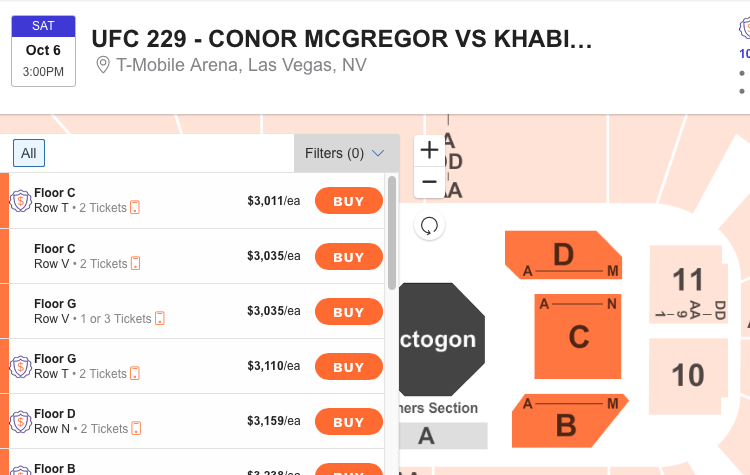 The complete fight card and more ticketing information will be announced soon, according to T-Mobile Arena's official website. For the best deals on UFC 207 tickets once they become available, make sure to download the TicketIQ app. As the only engagement-based loyalty program in the marketplace, the TicketIQ app helps fans save up to 10 percent on all IQ Certified listings. Download the app and start saving today!